This page will contain hints, tips, and useful apps for yourself and for use with students in the Art Room. 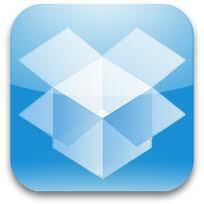 If you have not already discovered Dropbox - you need to download ASAP! This free file sharing application is wonderful for sharing photos and files between computers, iPhones, and iPads. Download it onto all your computers(www.dropbox.com) and devices (dropbox app). I use it on a daily basis to share photos and files. The great thing is that you can access all your files put in your dropbox from any computer by going to www.dropbox.com. This eliminates the need to email a photo or place on a flash drive. Simply save to your dropbox and pick it up from whatever device you need. In the Art Room - set up folders in your dropbox with student names or class names. Send images to those folders for students to open from - or save to - while working on the iPad. I have yet to explore all the aspects of Apple's new iCloud, but I have found Photostream to be very useful. If you have upgraded to iOS5 take advantage of Photostream. Photostream will keep a copy of your photos(200 latest) on all your iOS5 devices. This means if I snap a picture of an artwork in class with my iPhone it will also be available to me on my iPad and in my photostream in iPhoto. No transferring needed - it will simply be there! Use Prezi Viewer to have students watch presentations you have created in small groups or to review project concepts. Don't know what a Prezi is? Visit prezi.com to set up a free educator account and start creating exciting presentations!